Since most people are concerned about appearing in Court, I offer a few rules and procedures to help you understand how the Court works. This is a Court of Law and the rules of proper decorum, procedure and evidence will be followed. The Court respectfully requests that all hats are removed, and cell phones are silenced while in session. In addition, please remain quiet (please remove loud or crying children), giving others the courtesy to be heard and present their cases. Persons who fail to conduct themselves in an orderly manner shall be cited for contempt of Court. 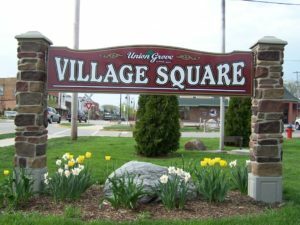 The Court has jurisdiction over traffic and non-traffic ordinance violations that occur in the Village of Union Grove. Defendants may choose to represent themselves or retain an attorney. The Court will NOT provide an attorney. No matter the outcome of any ruling, the Court would like to stress the importance of each citizen’s responsibility to adhere to all laws. It is up to each of us to make our community a safe and desirable place in which to work and live.